The former first lady tweeted Sunday that the book, to come out a week after the 2018 midterm elections, is called "Becoming." By Sunday night, her memoir was in the top 20 on Amazon.com. "Writing 'Becoming' has been a deeply personal experience," she said in a statement. "It has allowed me, for the very first time, the space to honestly reflect on the unexpected trajectory of my life. In this book, I talk about my roots and how a little girl from the South Side of Chicago found her voice and developed the strength to use it to empower others. I hope my journey inspires readers to find the courage to become whoever they aspire to be. I can't wait to share my story." 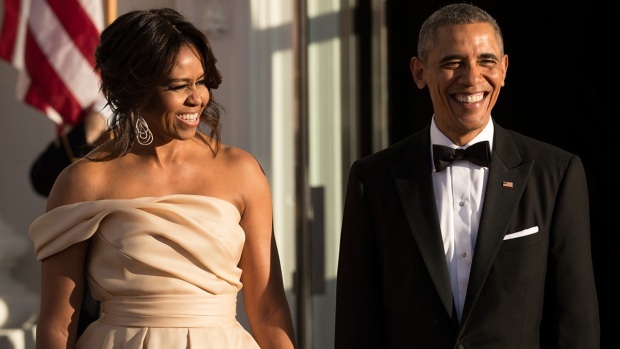 She and her husband, former President Barack Obama, last year reached a joint agreement with Penguin Random House for their respective books. The deal is believed to be well in excess of $30 million. 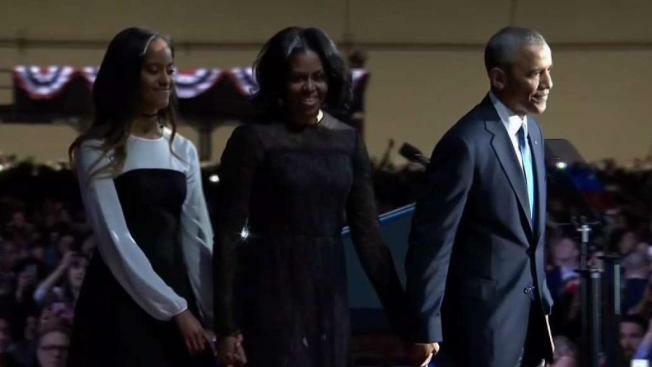 "Becoming" will be released in the U.S. through the Crown Publishing Group, a Penguin Random House division that has published works by both Obamas. Memoirs by former first ladies usually sell well, with notable works including Laura Bush's "Spoken from the Heart" and Hillary Rodham Clinton's "Living History." Michelle Obama's memoir is expected to be a major commercial and cultural event. She is admired around the world and has never told her story at length. Her only previous book was a 2012 work on gardening, "American Grown." The book will be published simultaneously in 24 languages, from Swedish to Arabic, and Michelle Obama expects to promote "Becoming" in the U.S. and overseas. She will also narrate the audio version. According to Crown, Obama is working with a team of assistants, but that every word in the finished text will be hers. "As first lady of the United States of America — the first African-American to serve in that role — she helped create the most welcoming and inclusive White House in history, while also establishing herself as a powerful advocate for women and girls in the U.S. and around the world," Crown said in a statement. "In her memoir, a work of deep reflection and mesmerizing storytelling, Michelle Obama invites readers into her world, chronicling the experiences that have shaped her_from her childhood on the South Side of Chicago to her years as an executive balancing the demands of motherhood and work, to her time spent at the world's most famous address." Barack Obama, who has written the million-sellers "Dreams from My Father" and "The Audacity of Hope," has not yet scheduled his memoir. He is expected to focus on his eight years in the White House.